Greg has been practicing yoga since 2011 and teaching since 2014. His yoga journey began when, after seeking relief from years of typical middle-aged ailments, he decided to see if yoga could do what meds and physical therapists could not. Within months of beginning his practice, Greg was not only living free of pain, but through the inspiration of his instructors, had begun to realize there was wellness within the practice of yoga that went beyond the physical body. Desiring to learn more, Greg underwent teacher training and graduated the YogaWorks 200-hour program at MOMENTUM Yoga & Fitness in 2013 and completed his 300-hour program through Asheville Yoga Center in 2018. Greg is a Registered Yoga Teacher (RYT500) with the Yoga Alliance®. He is grateful for the opportunity to instruct while continuing to learn and grow as an enthusiastic student of the yoga tradition. Cynthia Ruth Cash, a resident of Wilson and Beaufort, is a retired teacher who has called North Carolina home since the 1980s. Born in Brevard, Cindy’s childhood was a nomadic one spent in Tennessee, Alabama, Missouri, and finally, Kentucky. She received her undergraduate degree in education from the University of Kentucky, and an MaEd in English from East Carolina University. 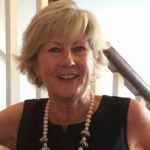 Cindy has been an involved community volunteer in Wilson, serving on the boards of the Wilson Medical Center Hospital Auxiliary, the United Way, Wilson on the Move, and the Arts Council of Wilson. She and her husband Jim have been active supporters of the Imagination Station Science Museum, and are members of the First United Methodist Church. Cindy and her husband are the parents of three adult children and grandparents of seven. Her interests include travel, teaching yoga, and reading. Her passion remains education, particularly in non-traditional and alternative environments. Kay practiced yoga for many years and, as a special education teacher, recognized the power of stress reduction. As the first Certified Conscious Discipline Instructor (CCDI) in North Carolina, she found herself saying to teachers, “Before you can help children behaviorally, you must be calm.” The program moved on without teaching the adult how to self-calm when “take a deep breath” wasn’t enough. She began looking for something to meet that need and came full circle, back to yoga. Kay completed RYT-200 through the Yoga Works teacher training program at MOMENTUM yoga & fitness in 2013. She enjoys working with seniors and beginning yogis. I have always been a person of movement: a competitive cheerleader, softball player, and long distance runner. In an effort to shed my shell of intensity hardened by competition, I stepped on a yoga mat for first time in 2013 in an effort to find peace, light, and stillness. Today my intensity can be seen in my passion for a continuous practice and study of yoga. I offer space for others on all paths on a yoga journey to rid themselves of the rigidity that life and competition create – a place for them to find the energy and vigor of fluid movement and a quiet stillness to find the grace and peace that is created when we rid ourselves of the expectations and find contentment in our present wholeness. I completed my 200 hour Yoga Teacher Training with Transcending Yoga in Swansboro, North Carolina. I am deeply grateful for the compassionate guidance that my teachers have shared with me, for they have shown me that yoga is an ever-developing wholeness, a contentment with who you are in a present moment and an understanding of all the variances and changes that exist within you. After two decades of practicing yoga in New York and North Carolina, Kate decided to enrich her practice and her life by becoming a teacher. Shecompleted the 200 hour RYT training in 2011, graduating from Transcending Yoga, a Yoga Alliance registered school. Kate is committed to making a positive difference in the lives of others through the transformative power of yoga. Linda Fulcher recently graduated the 2018 Yoga-Mojo Yoga Teacher Training at Momentum Yoga and Wellness. 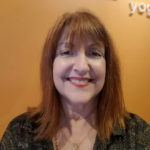 Linda’s personal practice of yoga and her teaching are informed by her background in physical therapy, personal life coaching, and longstanding practice of meditation and service to others. Linda also recently received a certificate in the Yoga of 12-Step Recovery, and is actively working to offer the support and healing of yoga to people suffering from the disease of addiction, their families and friends. Linda enjoys bringing devotion, intellect, humor and inspiration into her classes, and invites practitioners to join her on a journey that balances the spiritual, mental and physical aspects of yoga by connecting each breath with movement, and joy. Jamie Jones is the mother of 4 boys and is from Draper Utah. She grew up playing basketball, skiing, and wakeboarding. She started practicing Yoga in College while studying Photography at Utah Valley University in Orem Utah. 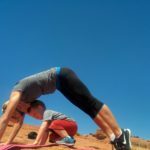 After moving to St. George and having 3 boys yoga became her survival. She fell in love with with practice and the way it strengthened her mind, body and spirit. Jamie received her 200 RYT Yoga certification from BeHot yoga in St. George in 2013. She started teaching immediately and got pregnant with another little boy…She taught yoga all through out her pregnancy which was very beneficial for her and the baby. He is her yoga baby and came out practicing yoga. Jamie loves to share her practice and connect with others by teaching yoga! 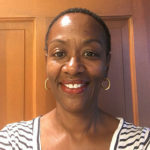 Cheryl has completed Duke Integrative Medicine’s Yoga for Senior’s Therapist program and is certified to teach trauma sensitive yoga through the Trauma Center at the Justice Resource Center. In addition, she has completed advanced training in iRest Yoga Nidra training with Richard Miller, PhD of the Integrative Restoration Institute. Cheryl taught iRest and yoga at Camp Lejeune for Lejeune Navel Hospital’s “Back on Track” program for Post-Traumatic Stress Disorder. She was selected for the February 2011 “Hero Spotlight: by the Defense Center of Excellence for Psychological Health and Traumatic Brain Injury “DCoE in Action” publication. Cheryl is also a Reiki Master in the Usui Reiki tradition. Juli’s desire is to spread her passion for yoga on and off the mat. Teaching comes naturally to Juli and she brings great energy to the studio. She graduated from Seaside Yoga of Wilmington with her 200 RYT in September 2008 with an emphasis on Anusara yoga. Juli completed her 300 hour program in January 2016 through Asheville Yoga Center. She currently holds her 200-ERYT and 500 RYT. She honors her teachers Lisa Colletti, Susan Koepp, Ashley Ludman and Rachael Crawford Goolsby. Annette is known as the Yoga Nurse, is a former cover girl and Hollywood actor turned nurse and stress management expert. Her programs are endorsed by doctors and nursing organizations, as a safe adjunct therapy to increase quality of life. For the past 16 years, she has been educating people around the world to lead more spiritual lifestyles. A sought-after coach, trainer, speaker and writer, she has been featured extensively in the media. Now a retired law enforcement officer, Michelle began practicing yoga in 2001 while searching for stress relief from her job. Yoga inspired her to become a yoga teacher in 2003, studying with Master Purna yoga teacher Aadil Palkhivala as well as Tias Little, Elise Browning Miller, Terry Brown and others. She continues her studies and is now an ERYT200/RYT 500, with a wealth of knowledge on safe alignment in asana. She has studied yoga therapeutics with Aadil, SATYA (Sensory Awareness Training for Yoga Attunement) with Tias Little and is currently attending East Coast Yoga Therapy program to become a Yoga Therapist. She is known for her sense of humor when presenting, while adapting her classes and workshops to the level of her students and their needs. Leilani loves yoga. She believes that it has the power to connect us to our inner guide, reveal the truth of who we are, reset our happiness meters, and expand our compassion as we evolve from practicing yoga on the mat to the real beauty of being our practice. Leilani has been practicing yoga since 2000. She completed a 240 hour certification in 2008 with The NC School of Yoga from the lineage of living yoga master Sri Dharma Mittra. In 2010 she completed an advanced yoga teacher training course with her teacher, Erich Schiffmann. She received her 500 hour certification after studying with Jill Sockman in Raleigh.